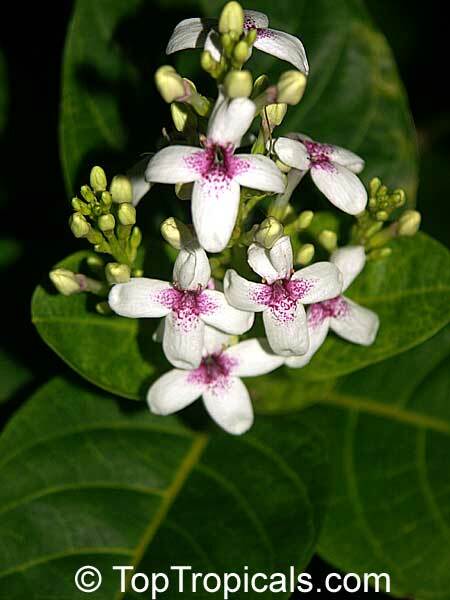 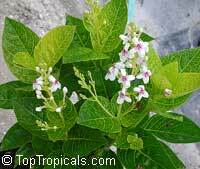 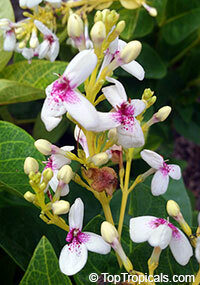 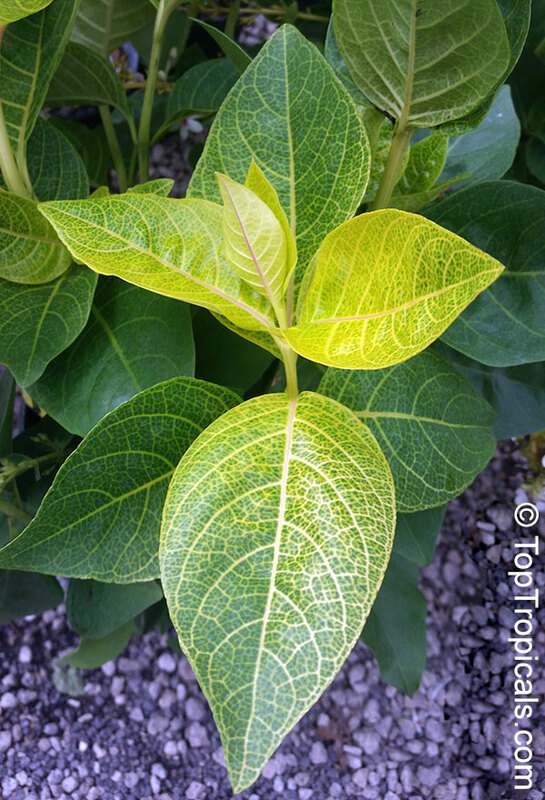 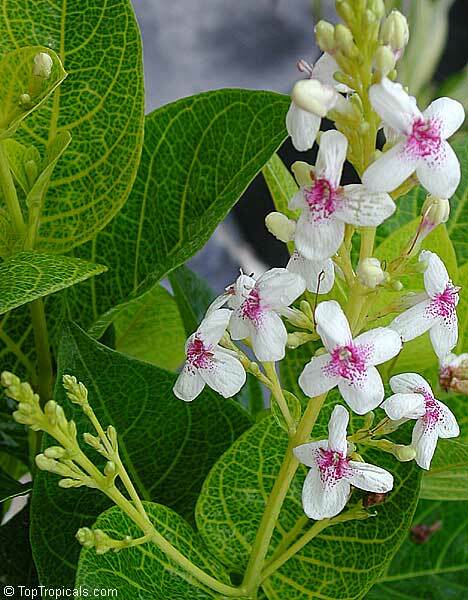 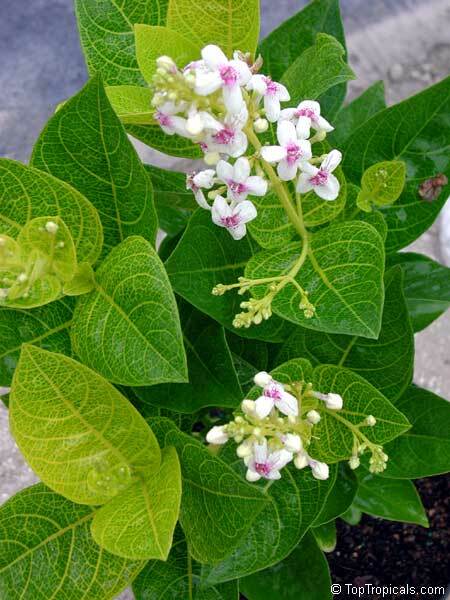 An evergreen shrub from Polynesia notable for its unusual green-veined creamy yellow foliage. 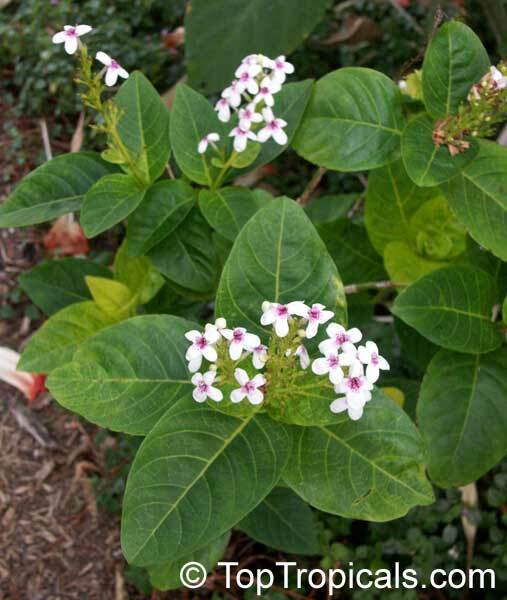 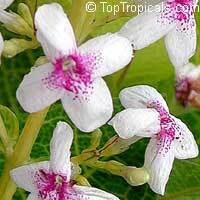 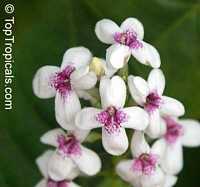 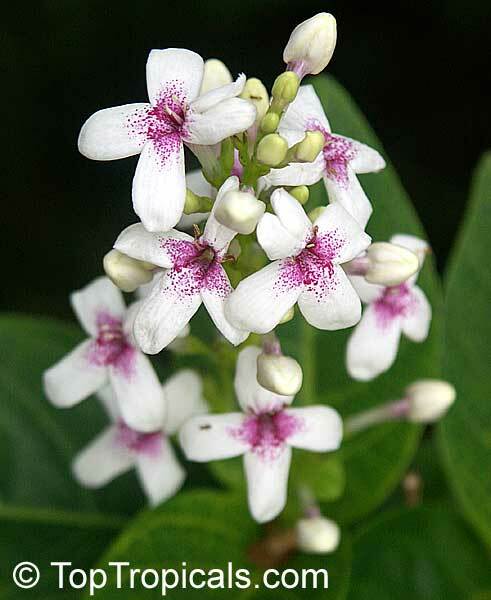 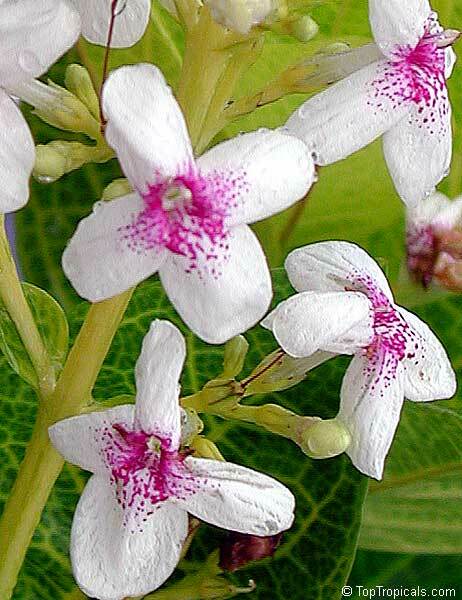 It has pretty purple-red-spotted white flowers. 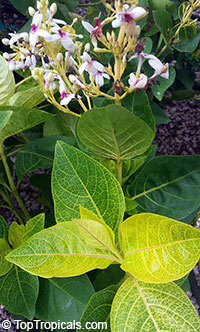 The plant is relatively cold hardy.